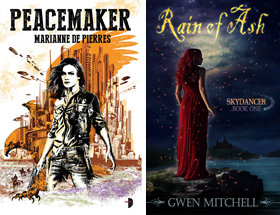 A bumper crop of young adult speculative fiction this month with 37 titles. On my buy list is Ghost Town by Rachel Caine, Secondhand Charm by Julie Berry, Behemoth by Westerfield, Crescendo by Fitzpatrick and Nightshade by Cremer. What would you like from the list? Favourite cover this month is for Crossing Over followed by Nightshade. Whats yours? Urban fantasy and paranormal releases for October can be found here. P.C. Cast (author of the #1 New York Times phenomenon House of Night series), collected dark, romantic short stories from seven of the hottest vampire writers in YA. Now Eternal: More Love Stories With Bite presents all-new YA stories featuring vampires, the romantic heroes and heroines that still hold the reading public enraptured. A mix of writers from the first anthology and new contributors makes for a fresh new collection with all of the dark romance of its predecessor, and a book that’s sure to thrill vampire romance fans old and new. The book includes an original introduction by Cast. Jeriah's brother, Tobin, is in terrible danger. He's willingly crossed over to the Otherworld with a hedgewitch named Makenna and her legion of goblins. What Tobin doesn’t know is that the Otherworld is a perilous dimension that leeches magic from those who have it—and life from those who don’t. In order to save his brother, Jeriah must find a way to open a mystical gate between the worlds. Searching for the key to rescue Tobin from the clutches of the Otherworld, Jeriah is thrust into a tangled web of political intrigue as he uncovers a dangerous secret that could change the fate of an entire kingdom. Now he must get help from the very beings he’s been taught to hate—the mischievous goblins. Meanwhile, the clock is ticking for Tobin... Hilari Bell’s enthralling fantasy adventure tests the bonds of magic, love, and loyalty in an unforgettable follow-up to The Goblin Wood that will leave readers breathless as they race to find out what high-stakes consequences await its hero. In a secluded village, magic sparkles on the edges of the forest. There, a young girl named Evie possesses unusually strong powers as a healer. A gypsy's charms—no more than trinkets when worn by others—are remarkably potent when Evie ties them around her neck. Her talents, and charms, have not escaped the notice of the shy stonemason's apprentice. But Evie wants more than a quiet village and the boy next-door. When the young king's carriage arrives one day, and his footman has fallen ill, Evie might just get her chance after all... Berry's debut novel garnered glowing reviews and strong sales—and now she's done it again with a beautifully woven tale to keep all readers, young and old, absolutely charmed. The classic vampire story that started it all gets new life for a generation of connected teens. 18-year-old Jonathan Harker is diagnosed with a rare blood disorder after visiting a Romanian Count. His girlfriend Mina and a pre-med student named Van Helsing team up to investigate the source of the disease. The teenagers discover a horrifying truth: the Count is a vampire. The harrowing events unfold through emails, text messages, web pages, Twitter feeds, and instant messaging-the natural modernization of Bram Stoker's original Dracula, which was written in letters, diary entries, and news clippings. 16-year-old Digger thrives as a spy & sneak-thief among the feuding religious factions of Gerse. But when a routine job goes horribly wrong and her partner & lover Tegen is killed, she disguises herself in a group of young nobles & sneaks out of the city. Accepted as a lady-in-waiting at the stronghold of the powerful Nemair, she finds new peace & friendship (*and* some new targets). But when an old client from the city comes to the castle, she realizes her hosts may be planning the ultimate uprising against the king - & rather than true peace, she may be at the heart of the rebellion. When Kelly Quinn and her two BFFs discover a dusty old cookbook while cleaning out her attic, the girls decide to try a few of the mysterious recipes inside. But the ancient book bears an eerie warning, and it doesn't take long for the girls to realize that their dishes are linked to strange occurances. The Keep 'Em Quiet Cobbler actually silences Kelly's pesky little brother and the Hexberry Tarta brings an annoying curse to mean girl Charlotte Barney. And there is the Love Bug Juice, which seems to have quite the effect on those cute Rusamano boys... Could these receipes treally be magical? Who wrote them and where did they come from. And most importantly, what kind of trouble are the girls stirring up for themselves? Things are about to get just a little too hot in Kelly Quinn's kitchen. A dreamwalker who has lost her way. A shape shifter who fears his own dark power. A fire herd punished for his magic. Can these three teens keep the human world of Noor and the magical world of Oth from splitting apart? The ancient trees of Noor are dying. If the blight kills the last azure trees whose deep roots bind the worlds, the bridge between Noor and Oth will split apart forever. Already as Hanna, Miles, and Taunier sail to the source of the blight, the rent between the worlds is widening, and magic is going out of Noor. The quest deepens when a strange wind blows across Noor stealing young children, and Hanna is powerless to protect her younger brother from the stealing wind. The Three journey east to the azure forests of Jarrosh. East to the dragon lands. East to the place where the wind-stolen children were taken. In Jarrosh, among dragons, the Three will be challenged to discover their hidden powers. Each of them must break beyond the boundaries of self to discover the ancient magic joining all to all. Merry meet, fledgling. I trust this guide will serve you well… Every vampyre fledgling who arrives at the House of Night receives a copy of The Fledgling Handbook 101, and now, fans can have one, too, with this gorgeous must-have edition. Inside you’ll find original stories, the complete vampyre history, inside info into rituals, vamp biology, and the Change, and much more. After inheriting the dark Van Alen Legacy, Schuyler fled to Florence--with her forbidden love, Jack. Now the two of them must embark on the mission Schuyler was destined to complete: to find and protect the seven gates that guard earth from Lucifer, lord of the Silverbloods. As the Blue Blood enclave weakens yet further, fate leads Schuyler closer to a terrifying crossroads--and a choice that will determine the destiny of all vampires. What Lily Carter wants most in the world is to attend Princeton University just like her grandfather. When she finally visits the campus, Grandpa surprises her: She has been selected to take the top-secret Legacy Test. Passing means automatic acceptance to Princeton. Sweet! Lily's test is to find the Ivy Key. But what is she looking for? Where does she start? As she searches, Lily is joined by Tye, a cute college boy with orange and black hair who says he's her guard. That's weird. But things get seriously strange when a gargoyle talks to her. He tells her that there are two Princetons—the ordinary one and a magical one—and the Key opens the gate between them. But there are more secrets that surround Lily. Worse secrets. When Lily enters the magical Princeton, she uncovers old betrayals and new dangers, and a chance at her dream becomes a fight for her life. Soon Lily is caught in a power struggle between two worlds, with her family at its center. 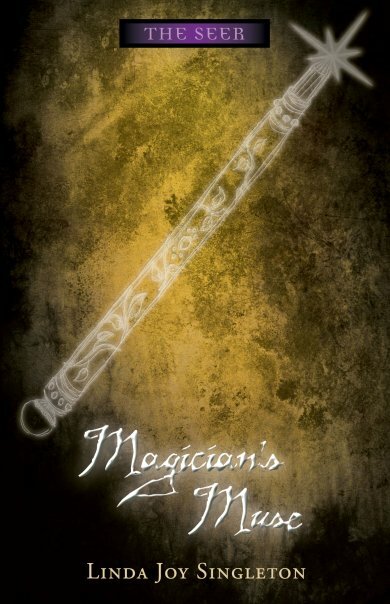 In a place where Knights slay monsters, boys are were-tigers, and dragons might be out for blood, Lily will need all of her ingenuity and courage—and a little magic—to unite the worlds and unlock the secrets of her past and her future. Nora should have know her life was far from perfect. 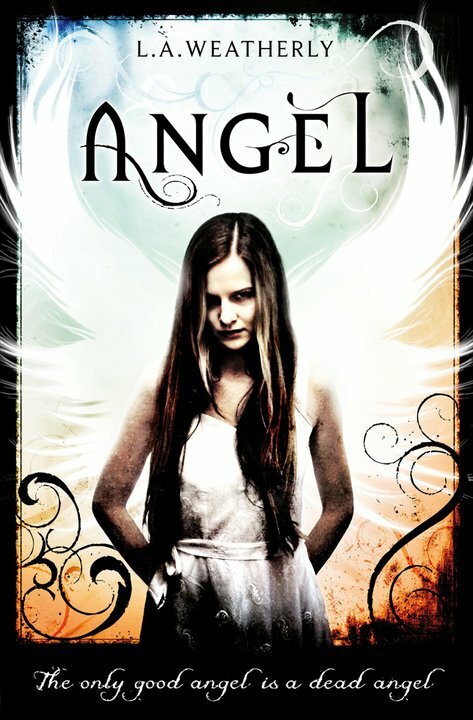 Despite starting a relationship with her guardian angel, Patch (who, title aside, can be described anything but angelic), and surviving an attempt on her life, things are not looking up. Patch is starting to pull away and Nora can't figure out if it's for her best interest or if his interest has shifted to her arch-enemy Marcie Millar. Not to mention that Nora is haunted by images of her father and she becomes obsessed with finding out what really happened to him that night he left for Portland and never came home. The farther Nora delves into the mystery of her father's death, the more she comes to question if her Nephilim blood line has something to do with it as well as why she seems to be in danger more than the average girl. Since Patch isn't answering her questions and seems to be standing in her way, she has to start finding the answers on her own. Relying too heavily on the fact that she has a guardian angel puts Nora at risk again and again. But can she really count on Patch or is he hiding secrets darker than she can even imagine? Ethan Wate used to think of Gatlin, the small Southern town he had always called home, as a place where nothing ever changed. Then he met mysterious newcomer Lena Duchannes, who revealed a secret world that had been hidden in plain sight all along. A Gatlin that harbored ancient secrets beneath its moss-covered oaks and cracked sidewalks. A Gatlin where a curse has marked Lena's family of powerful Supernaturals for generations. A Gatlin where impossible, magical, life-altering events happen. Sometimes life-ending. Together they can face anything Gatlin throws at them, but after suffering a tragic loss, Lena starts to pull away, keeping secrets that test their relationship. And now that Ethan's eyes have been opened to the darker side of Gatlin, there's no going back. Haunted by strange visions only he can see, Ethan is pulled deeper into his town's tangled history and finds himself caught up in the dangerous network of underground passageways endlessly crisscrossing the South, where nothing is as it seems. Ashlyn Greenfield has always known when bad things are going to happen. Each time that familiar tingling at the back of her neck begins, she knows what's to come a trance. She's pulled in, blindsided, an unwilling witness to a horrible upcoming event. But she's never been able to stop it not even when the vision was of her mother's fatal car accident. When soulful Jake enters Ashlyn's life, she begins having trances about another car accident. And as her trances escalate, one thing becomes clear: it's up to her to save Jake from near-certain death. Two sisters... Born during the time of Jane Austen... Set to marry for advancement, but escaped their fates by becoming vampires. Now vampires in the 21st century, hunted by a sect of rogue hunters and governed by an ancient Romanian and Bulgarian vampire myth, the sisters live in a small beach town of California where they meet Keegan Knowles, a mysterious boy. For hundreds of years they've shared clothes, books, and their home, but will they share the same boy or is it there going to be war? The Gifted class are getting suspicious that there's a spy in their midst. But who? The chief suspect is queen-of-mean Amanda, who's started acting out of character and volunteering in the school office. Tracey and Jenna join forces - and gifts - to try to find out more. But when mind-reader Jenna is framed for a crime she didn't commit and sent to an institution, Tracey is on her own. Using her ability to become invisible, Tracey searches for answers and finds out more than she bargained for . . .
Roger Kilbourne has the ability to "cross over" into the land of the dead and speak with its residents. It is a startling gift, and not a pleasant one. Roger manages to escape his brutal uncle, who has exploited his talents for years; after he gets a job in the palace laundry, he thinks he will be safe. Instead, there are worse dangers. First, he falls hopelessly in love with the bewitching, willful Lady Cecilia; next, he is pulled into the midst of life-threatening court intigue. Soon Roger is using his gift as a way to get the life he dreams of—even if it means bringing the dead back to the land of the living. Lisabeth Lewis has a black steed, a set of scales, and a new job: she’s been appointed Famine. How will an anorexic seventeen-year-old girl from the suburbs fare as one of the Four Horsemen of the Apocalypse? Traveling the world on her steed gives Lisa freedom from her troubles at home—her constant battle with hunger, and her struggle to hide it from the people who care about her. But being Famine forces her to go places where hunger is a painful part of everyday life, and to face the horrifying effects of her phenomenal power. Can Lisa find a way to harness that power—and the courage to fight her own inner demons? A wildly original approach to the issue of eating disorders, Hunger is about the struggle to find balance in a world of extremes, and uses fantastic tropes to explore a difficult topic that touches the lives of many teens. Congratulations on turning age seventeen. You are now ready for placement by the Council government. For kids in the year 2054, turning seventeen means they’re ripe for Global Alliance work assignments that range from backbreaking drudgery to deadly canal labor. Trying to survive in a desiccated world that’s been ravaged by plagues, AIDS III, and environmental disasters, three “s’teeners” from very different backgrounds think they’ve gotten lucky. Jaym, Reya, and D’Shay are chosen to be among thousands of blenders whose task is to help repopulate Africa after a solar flare left its people sterile. But the continent itself—roiling with civil war and mercenaries intent on crushing the blending program at any cost—poses the gravest danger of all. Separated, the three friends struggle to escape horrific situations, somehow reunite, and reach a camp in the mountains that promises salvation from the harsh and threatening world. Erin Hollister is waiting for her big break—or even a small one. She's been dumped by her boyfriend, canned by her employer and it doesn't seem that her dream of making it on Broadway will come true either. But then she's given a lantern—complete with genie!—and it looks as if a little magic may be in store… That is, if she can decide what to wish for. There's the rub. Career? Family? Love life? Even a charismatic genie can grant only so many wishes. Or maybe Erin should just hold on to all those magical chances and think about what might be (instead of seeing just what's under her nose). Time's running out. Ultimately, it's Erin who must decide how to keep the magic alive—forever. There isn’t much worth living for in Gypsum, Missouri—or Trashtown, as the rich kids call the run-down neighborhood where sixteen-year-old Hailey Tarbell lives. Hailey figures she’ll never belong—not with the popular kids at school, not with the rejects, not even with her cruel, sickly grandmother, who deals drugs out of their basement. Hailey never knew her dead mother, and she has no idea who her father was, but at least she has her four-year-old foster brother, Chub. Once she turns eighteen, Hailey plans to take Chub far from Gypsum and start a new life where no one can find them. But when a classmate is injured in gym class, Hailey discovers a gift for healing that she never knew she possessed—and that she cannot ignore. Not only can she heal, she can bring the dying back to life. Confused by her powers, Hailey searches for answers but finds only more questions, until a mysterious visitor shows up at Gram’s house, claiming to be Hailey’s aunt Prairie. There are people who will stop at nothing to keep Hailey in Trashtown, living out a legacy of despair and suffering. But when Prairie saves both Hailey and Chub from armed attackers who invade Gram’s house in the middle of the night, Hailey must decide where to place her trust. Will Prairie’s past, and the long-buried secret that caused her to leave Gypsum years earlier, ruin them all? Because as Hailey will soon find out, their power to heal is just the beginning. This gripping novel from thriller writer Sophie Littlefield blazes a trail from small-town Missouri to the big city as Hailey battles an evil greater than she ever imagined, while discovering strengths she never knew she had. In the wake of her father's death, Ash is left at the mercy of her cruel stepmother. Consumed with grief, her only joy comes by the light of the dying hearth fire, rereading the fairy tales her mother once told her. In her dreams, someday the fairies will steal her away, as they are said to do. When she meets the dark and dangerous fairy Sidhean, she believes that her wish may be granted. The day that Ash meets Kaisa, the King's Huntress, her heart begins to change. Instead of chasing fairies, Ash learns to hunt with Kaisa. Though their friendship is as delicate as a new bloom, it reawakens Ash's capacity for love-and her desire to live. But Sidhean has already claimed Ash for his own, and she must make a choice between fairy tale dreams and true love. Entrancing, empowering, and romantic, Ash is about the connection between life and love, and solitude and death, where transformation can come from even the deepest grief. The Van Helsing family has been hunting vampires for over one hundred years, but sixteen-year-old Daphne wishes her parents would take up an occupation that doesn’t involve decapitating vamps for cash. All Daphne wants is to settle down in one place, attend an actual school, and finally find a BFF to go to the mall with. Instead, Daphne has resigned herself to a life of fast food, cheap motels and buying garlic in bulk. But when the Van Helsings are called to a coastal town in Maine, Daphne’s world is turned upside down. Not only do the Van Helsings find themselves hunting a terrifying new kind of vampire (one without fangs but with a taste for kindergarten cuisine), Daphne meets her first potential BF! The hitch? Her new crush is none other than Tyler Harker, AKA, the son of the rival slayer family. What's a teen vampire slayer to do? Some vampires are good. Some are evil. Some are faking it to get girls. Awkward and allergic to the sun, sixteen-year-old Finbar Frame never gets the girl. But when he notices that all the female students at his school are obsessed with a vampire romance novel called Bloodthirsty, Finbar decides to boldly go where no sane guy has gone before-he becomes a vampire, minus the whole blood sucking part. With his brooding nature and weirdly pale skin, it's surprisingly easy for Finbar to pretend to be paranormal. But, when he meets the one girl who just might like him for who he really is, he discovers that his life as a pseudo-vampire is more complicated than he expected. This hilarious debut novel is for anyone who believes that sometimes even nice guys-without sharp teeth or sparkly skin-- can get the girl. Alisa has spent the past five thousand years as a vampire, living alone and fighting for survival. In her loneliness, Alisa cannot resist bringing Teri—a descendant of her human family—into her life. But Alisa is surrounded by death and destruction, and just by knowing Alisa, Teri’s life is at risk. Alisa’s guilt grows when she becomes involved in a dangerous conspiracy. A top-secret group knows Alisa’s secret and will stop at nothing to use her powers for their cause. As Alisa desperately tries to protect herself and Teri from the unknown enemy, she discovers a force more powerful and more lethal than anything she has ever seen. Alisa doesn’t know who to trust, who to challenge, or who she will become…. A whisper, too soft to swirl wispy candle smoke, carried across time, beyond life and death—and was heard. “Our bargain is sealed. My secrets will be yours—when the girl dies.” In the thrilling climax to THE SEER series, Sabine Rose’s psychic abilities, sleuthing skills, and courage are pushed to a dangerous edge as she deals with the mysterious disappearance of her ex-boyfriend Josh, a new threat against her boyfriend Dominic, evil magicians (both living and dead)—and a cold-blooded murderer. The behemoth is the fiercest creature in the British navy. It can swallow enemy battleships with one bite. The Darwinists will need it, now that they are at war with the Clanker powers. Deryn is a girl posing as a boy in the British Air Service, and Alek is the heir to an empire posing as a commoner. Finally together aboard the airship Leviathan, they hope to bring the war to a halt. But when disaster strikes the Leviathan's peacekeeping mission, they find themselves alone and hunted in enemy territory. Alek and Deryn will need great skill, new allies, and brave hearts to face what's ahead. It's the near future - the very near future - and the fossil fuels are running out. No gas. No oil. Which means no driving. No heat. Supermarkets are empty. Malls have shut down. Life has just become more local than we ever knew it could be. Nobody expected the end to come this fast. And in the small town of Spring Valley, decisions that once seemed easy are quickly becoming matters of life and death. There is hope - there has to be hope - just there are also sacrifices that need to be made, and a whole society that needs to be rethought. 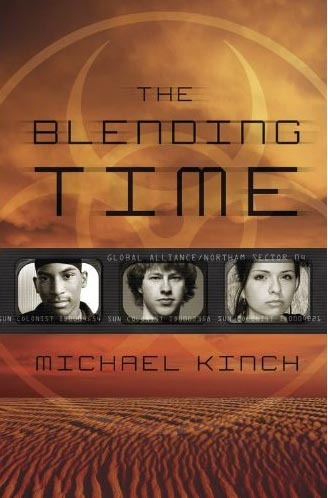 Teens like Nicki, Tom, and Leila may find what they need to survive. But their lives are never going to be the same again. While attempting to disprove that Homo vampiris, the vampire, could exist, Dr. Warthrop is asked by his former fiancÉ to rescue her husband from the Wendigo, a creature that starves even as it gorges itself on human flesh, which has snatched him in the Canadian wilderness. Although Warthrop also considers the Wendigo to be fictitious, he relents and rescues her husband from death and starvation, and then sees the man transform into a Wendigo. Can the doctor and Will Henry hunt down the ultimate predator, who, like the legendary vampire, is neither living nor dead, whose hunger for human flesh is never satisfied? This second book in The Monstrumologist series explores the line between myth and reality, love and hate, genius and madness. So many great books! Woohoo Rachel Caine, Kami and Margie, and Melissa de la Cruz. OMG, I think I am gonna faint! So many awesome books coming out this month!! 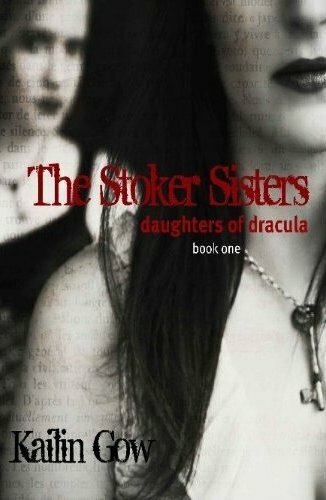 The Stoker Sisters: Daughters of Dracula.